Known as The Gathering Place, the island of Oahu draws people from all walks of life. This holds especially true during the winter months of November – February when surfers from all over the globe converge on the North Shore. The waves on the North Shore of Oahu are some of the most famed in the world, there’s no wonder why it’s always packed with surf aficionados. The end of 2018 brought together locals and visitors alike who are passionate about this thrilling watersport. Oahu is home to the renowned Waimea Bay, the host site of one of the most premier big-wave surf events in the world: The Eddie Aikau Big Wave Invitational, an iconic contest held in honor of Eddie Aikau..
Who Was Oahu’s Legendary Surfer? Eddie Aikau was the famous Hawaiian waterman whose big wave-prowess was clearly before his time and who rescued more than 500+ people during his tenure as lifeguard at Waimea Bay. 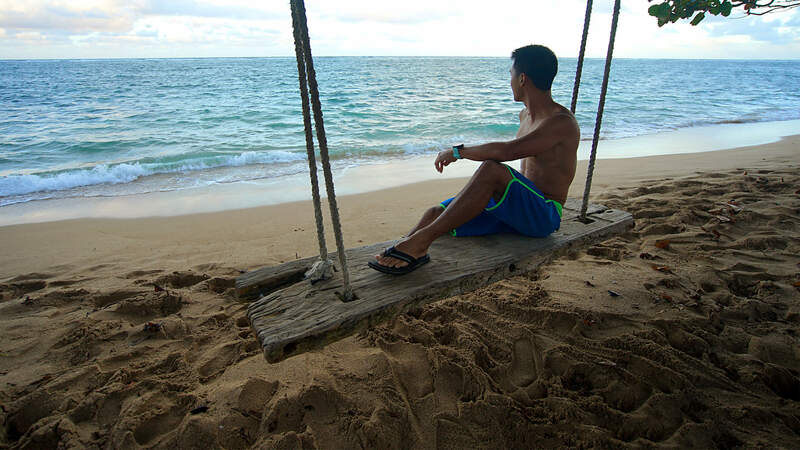 He was born on Maui, but when he turned 16, he moved to Oahu with his family. His passion for surfing and his deep affection for the gorgeous Waimea Bay and its big waves was well known. Eddie died in 1978, taken tragically by the unpredictable waters he loved so much while trying to help the stranded crew of the Hokulea. The Eddie Aikau Big Wave Invitational seeks to honor Eddie Aikau, the courageous lifeguard, surfer, waterman, and selfless, caring person who risked his life for others. The Eddie also aims to celebrate the past, present and future of big-wave surfing, all the while keeping Eddie’s legacy alive in hopes of inspiring present and future generations. The 33rd annual Eddie Aikau Big Wave Invitational will put surfing and Hawaiian culture in focus, aiming to create and share incredible stories as well as the legacy of our islands with the whole world. The “Superbowl of Surf” welcomes 29 invitees and numerous possible alternates to Waimea Bay to impress everybody with their courage and incredible skills in huge surf. The Eddie will run if the wave heights reach a minimum 20 feet Hawaiian scale consistently, with good conditions for a full contestable timeframe. Mother Nature is unpredictable, so this doesn't always happen, having taken place only 9 times in the last 33 years. With El Nino conditions highly likely to affect Hawaii this winter there is a good chance of some very large, contestable surf. Pair that with new sponsors backing the contest this year, and there is a real possibility that the contest may run. You don’t have to be on Oahu to witness the event, if the contest does run, you’ll be able to tune in online. If you are on Oahu and the contest gets a green light, please plan accordingly. Many will gather to view the rare occurrence, so you’ll have to get to Waimea Bay early enough to ensure a good seat to the show, you won’t be disappointed. Whichever way you’re tuning in just be sure to be rocking a pair of your favorite Island Slippers.